We soon identified we would not be able to create such a cool version of our app on our own. This compelled us to launch our LugLoc Beta Test Program. The program involved inviting a group of over 300 hundred of our most frequent users to put the app through the paces. This really helped us raise the bar when it came to our work. Beta test participants, we owe you a BIG THANK YOU for your efforts… you really rock! Until now, in order to add a device to your account you had to enter the device id located at the back of the device. The device id is an 8 digit number, but many users found it hard to read and copy in our app. Every LugLoc has a unique Bluetooth signal we use to track the device from close range, so now we are able to use us it to detect your devices seamlessly. However, you may not always have your device with you, or it may not be charged. So if we are not able to identify your LugLoc on Bluetooth, we will still allow the entering of the device ID manually, making it super clear how to find it. Using the app you’ve always been able to assign a name to your device. But if you’ve ever lost a bag, you know the first question you get when you claim it at the airport relates to what the bag looks like. A black bag? That’s not enough when there are so many bags lost each year. Now you can add a picture to your LugLoc to make it more customized and more accurate than ever before. We now geocode your location to describe the city and country where your things are. We are also working hard so that soon we’ll be able to inform you if your LugLoc is located at a specific airport. This gives you even more details about where exactly your bag is, and how to retrieve it. Our old app would let you trace your LugLoc at any time. We later improved this feature by giving you the latest location we had of your device. Our new app actively looks for your device all the time, thus giving you the most accurate location possible. We are combining Bluetooth and GSM in the same experience so you don’t have to even think about what technology should be used to locate your bags. You open the app, and we do the rest. It’s just that easy. The home screen is not the only way to see your LugLoc information. The details screen will show more information, including Bluetooth distance (and vibration), a map you can expand for more details about the position, and we let you handle your service plans. All easy to access with the swipe and tap of a finger. We have new features coming up in this screen, so stay tuned. We invite you to check out the new experience, already available in the Apple Store, and really soon in the Android Play Store. All LugLoc devices, old and new, are 100% compatible with this app. We really hope you will love our new app as much as we love you, our faithful customers. Owning a luggage locator that leverages cellular technology involves two prices, the price you pay for the device, and the price you pay to track your bag through GSM. We’ve received excellent feedback from LugLoc’s passionate user base, and created new simplified Service plans that launched the 14 of June, 2016. From now on, every device purchase includes FREE 30-day service plan included. This is twice what it used to be before! This activates the first time the LugLoc device location is requested. You wanted unlimited plans, and we listened! You can now track your luggage as much as you’d like within each new option. Users can now choose from different service plans, including a month of unlimited tracking for $4.99, 6 months for $19.99, and $29.99 for annual unlimited service. You also wanted LugLoc to track itself automatically, and we made it happen! From now on, LugLoc will automatically notify you when its location changes, all on it’s own! You can still manually refresh the location of your device at any time. No more going out of the way to track your luggage, the app will notify you as your luggage changes locations. Going on a trip for a month? $4.99 will net you all the security you need to stay in control of your bag around the world. Have a busy season of traveling? LugLoc’s six-month $19.99 plan is a great fit for your needs. Need to keep track of your bag all the time, year round? Our year-round $29.99 of unlimited, automatic service plan is all you’ll ever need over the course of a year. 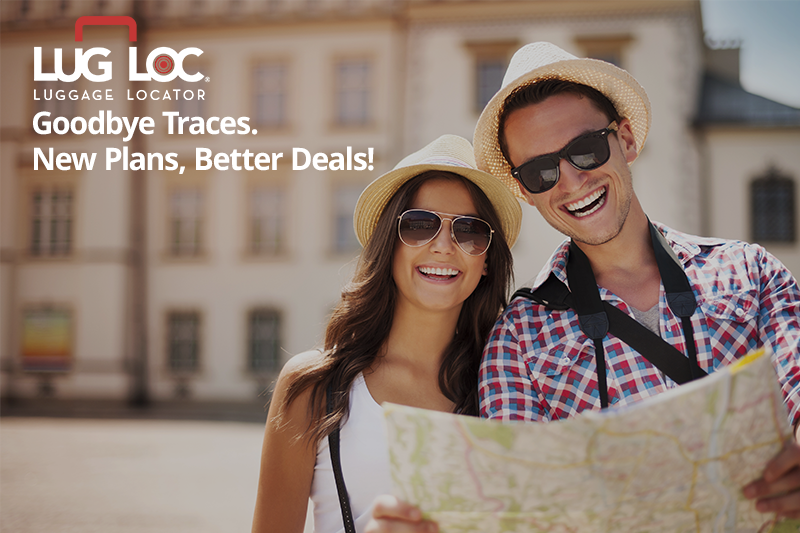 Old plans offered 15 days of free traces with initial purchase, Individual traces packs, and annual unlimited traces for $29.99. The new plan offers more value, flexibility, and most importantly what LugLoc users have asked for from the start – simplicity and peace of mind. We’ve been working exhaustively to bring you the best travel experience you deserve. Thank you for your support!